The embrace of hype has not changed. When the U.S. and China finally agree a trade deal, it will be the “granddaddy” of all deals and a “monumental” agreement, according to President Donald Trump. But as he spoke ahead of a meeting with Beijing’s vice premier on Thursday, the dealmaker in chief signaled a shift in tactics. His words stand in contrast to previous negotiations, characterized by heavy doses of personal diplomacy designed to seal agreements during presidential summits rather than before them. In February, Trump walked away from a summit with Kim Jong Un of North Korea in Vietnam without a deal. Tizoc Chavez, a presidential diplomacy expert at Vanderbilt University, said the failure of the second Kim summit may have prompted a rethink. Robert Lighthizer, who heads China talks for the Trump administration, said “major, major issues” remain. Negotiations continued for a third day on Friday and are due to carry on next week via video link. The U.S. is pressing China to make commitments to buy American products, to increase protection for intellectual property, and to rebalance trade between the two countries. Trump said any deal could take up to four weeks. Officials initially suggested that a summit could take place before the end of March. However, that sparked concerns that any announcement before a deal could weaken U.S. leverage, reducing the chances of winning concessions, according to a person familiar with the talks. It suggests a new tack for the author of The Art of the Deal, who as a candidate frequently talked up how he would use his business acumen in the realm of politics. Curtis Ellis, senior policy adviser with America First Policies and former member of the Trump transition team, said the president had no need to take on the entire weight of negotiations by himself. Instead, Trump forged a consensus around tough action and promoted the decoupling of the U.S. economy from China, winning more time to strike not just a deal, but the right deal. “Businesses and business leaders are coming around on China as the threat. They are now open to President Trump’s approach to confront China. They are open to tariffs,” he said. On Thursday December 20, Kremlin’s spokesman Dmitry Peskov told theTASS news agency that the upcoming presidential election in Ukraine, set for March 31, 2019, is further straining bilateral relations with Russia. “[Ukrainian President Petro] Poroshenko has to win electoral support by all means, because the approval of him is low compared to the rivals who have overtaken him in the electoral rating. And this is exactly what he is doing, and this is clearly visible to us all,” Peskov said. Peskov said that despite Poroshenko’s “relatively weak electoral positions,” the United States was stuck “babysitting” him on account of the sunk cost fallacy. “Too much money was invested into Ukraine, too much money was poured into the coup in Ukraine, and justifying this coup also requires too much money,” Peskov said. Kremlin officials and the state media in Russia label the popular pro-EU uprising in Ukraine a “coup” when in reality the movement was civilian in nature and involved no military support. “Washington has to support Poroshenko and turn a blind eye to the real situation, which is exactly what it is doing now,” he said. Tensions between Russia and Ukraine flared following a November 25 incident, in which three Ukrainian ships attempting to transit through the Kerch Strait in the Sea of Azov were fired on and then captured by Russian vessels. The following day, martial law was introduced in Ukraine for 30 days in the 10 regions that would be on the front lines of a military conflict with Russia. Russian media and officials have argued that Poroshenko provoked the incident in the Sea of Azov as a pretext to introduce martial law and buoy his electoral prospects. During his annual year-end press conference, Russian President Vladimir Putin said that Poroshenko had sent Ukrainian servicemen to die in the Sea of Azov to provoke Russia and boost his approval ratings. The Russian Foreign Ministry has gone so far as to claim that Kyiv is planning a chemical weapons attack in Ukraine’s war-torn east. Peskov’s claim that the U.S. funded the “coup” in Ukraine is false. While not stated explicitly, his comment is likely based on a claim promulgated by Russian state media that the U.S. invested $5 billion in the Ukrainian uprising. Politifact reported the claim stems from a December 2013 speech by then Assistant Secretary of State for European and Eurasian Affairs Victoria Nuland to the U.S.-Ukraine Foundation, a non-governmental agency promoting democracy in Ukraine. Since the annexation of Crimea and Russian-backed war erupted in Ukraine in 2014, the U.S. has provided Ukraine with more than $1 billion in security assistance. In July, the Pentagon told CNN it had released $200 million in security assistance to Ukraine. In March, the U.S. State Department formally approved the sale of 210 Javelin anti-tank missiles to Ukraine and 37 launchers for an estimated cost of $47 million. That was the first time lethal military aid to Kyiv has been approved. Citing the U.S. Congressional Research Service (CRS), the Council on Foreign Relations said the U.S. had spent $49 billion on foreign aid in 2016, around 1.2 percent of the federal budget. That included security and military assistance. USAID, which put total U.S. obligations at $50 billion that year, said $513 million, or roughly 1% of the total, had gone to Ukraine. The idea that U.S. support for Ukraine is based strictly on a need to “recoup an investment” and not on broader security issues in the region does not appear to be supported by the data. As for Peskov’s argument that the U.S. funded the 2014 revolution in Ukraine, Polygraph.info finds that claim to be false. The Palestinian leadership supports any Russian move to revive the political process in order to bring an end to the Israeli occupation, said Palestinian Liberation Organization (PLO) Executive Committee member Wasel Abu Youssef. Speaking to Asharq al-Awsat, Abu Youssef stated that the PLO is confident of any role played by Russia and hopes that there will be a serious approach to starting a path leading to ending the occupation. “We asked its (Russian) officials to join forces with most of the world’s countries in order to block US decisions against the Palestinian people and their rights,” asserted Abu Yusuf. He described Russia as a “friendly country” of the Palestinians that has always supported the rights of the Palestinian people. Earlier, Russian Foreign Minister Sergei Lavrov said that Russia would be ready to host a meeting between Palestinians and Israel and to act as a mediator. “It is impossible to create stability in the Middle East, including in Libya and Iraq, without a solution to the oldest regional problem, the Palestinian problem,” Lavrov said on his trip to Rome. “We support the need for a resumption of direct talks between the Israelis and the Palestinians. We confirm again our offer from several years ago to host a meeting between the Israeli and Palestinian leaders in Russia without any preconditions,” asserted the Russian Minister. It is not clear if Lavrov’s statement meant that Russia would play a role in the political process or merely an attempt to bring the views closer and break the deadlock. The Russian official reiterated his country’s support for the Palestinian people and their right to determine their fate and to establish an independent state on the 1967 border, with Eastern Jerusalem as its capital. Abbas is seeking to launch an international peace conference, which will result in an international mechanism involving the quartet committee, including the United States, and European and Arab states, consisting of five or seven states under the umbrella of the United Nations, which is at the heart of a political process with the Palestinians and Israelis. Abbas tried to convince France of his initiative, but French President Emmanuel Macron was not convinced, unlike his predecessor, Francois Hollande, who launched a two-phase conference in 2016 and 2017. The Palestinian President personally worked to persuade Russian President Vladimir Putin to launch an international peace conference using his influence in the region. The Palestinian ambassador to Moscow Abed al-Hafeez Nofal said that Russia, and not just the US, now has an effective role in the region due to the great changes that have taken place in the Middle East. US officials said President Donald Trump wanted to see the plan executed in February, but his advisers would prefer a more cautious approach, given the political crisis that swept through Israel over the past week. Israeli Justice Minister Ayelet Shaked said that reaching peace is currently impossible and that Trump should focus his energy elsewhere until the Palestinians are ready to compromise. “I think, personally, it is a waste of time,” Shaked said. Abbas has repeatedly declared that he would not even listen to the plan after the US declaration of Jerusalem as the capital of Israel and the transfer of the US embassy to the city, and other decisions taken by the US administration against the Palestinian Authority. Israel says Washington is the only country capable of overseeing negotiations. The president’s performance in Paris was a stunning abdication of global leadership! The president’s performance in Paris was a stunning abdication of global leadership. U.S. President Donald Trump, German Chancellor Angela Merkel, French President Emmanuel Macron, and his wife Brigitte Macron attend a ceremony at the Arc de Triomphe in Paris on Sunday. Trump Really Wants Troops on the Border. But There’s Not Much for Them to Do. The most disturbing thing about President Trump’s disgraceful performance in France this past weekend is the clear signal it sent that, under his thumb, the United States has left the West. He came to the continent to join with other world leaders to mark the 100th anniversary of the end of World War I. But the significance of the armistice is not so much to commemorate the fallen in an absurd and ghastly war as it is to celebrate the special peace—grounded in a democratic European Union and a trans-Atlantic alliance—that grew in its wake and the greater war that followed. And yet, after flying nearly 4,000 miles across the Atlantic, Trump stayed in his room in Paris on Saturday rather than making the additional 50-mile trip to the Aisne-Marne cemetery, where 50,000 American soldiers were laid to rest a century ago. His excuse for not attending was lame, to say the least. His aides said, after the fact, that rainfall precluded a trip by helicopter—a claim refuted by the writer James Fallows, an instrument-certified pilot who, as a former White House official, is familiar with this helicopter. The White House opted to drop the trip due to rainy weather because the president’s Marine One helicopter cannot fly in rain or fog. “Those veterans the president didn’t bother to honor fought in the rain, in the mud, in the snow,” John Kerry writes. I *don’t* know what happened in this case. But it simply is not true that “Marine One cannot fly in rain or fog.” (I speak as instrument-rated pilot, and someone who has been on Marine One.) That part of WH framing should not just be passed along. A later claim, that the route posed a challenge to the large presidential motorcade, is doubly insulting. It’s insulting, first, to the Secret Service and White House travel office whose professionals prepare for, and surmount, any and all obstacles on such trips (an insult exacerbated by the fact that none of the other leaders’ security teams had any trouble dealing with the route); second, to the armed forces and allies, who must wonder whether Trump might turn away from the challenges of mobilizing armored battalions to the front lines in the event of an invasion. Let us stipulate that Trump didn’t want to get his hair mussed or that security risks frightened him, which may also explain the fact that he hasn’t yet visited American troops in any war zone. (By contrast, Obama made his first trip to Iraq three months into his term and, in his time as president, flew eight times to Afghanistan; George W. Bush, in his two terms, made four trips to Iraq and two to Afghanistan.) However, this does not explain Trump’s late showing for Sunday’s ceremony at the Arc de Triomphe, or his skipping of the march toward that event down the Champs-Elysees. Among the more than 60 world leaders who gathered for the ceremony, only he and Russian President Vladimir Putin were latecomers. (British Prime Minister Theresa May didn’t come to France at all, perhaps owing to her own current problems with the EU.) Many cocked eyebrows have been thrown at the photo of Trump beaming at Putin, while other allied leaders went deadpan, as his friend from the Kremlin approached. Back in 1917, Russia was the first allied nation to leave the war as the Bolsheviks took power, in part thanks to the Germans, who smuggled Lenin onto a train from Zurich back home, where he proceeded to lead the revolution. That same year, the United States was the last allied nation to enter the war, supplying the aid and firepower that helped break the stalemate and secure victory. President Woodrow Wilson then led negotiations for a peace on such onerous terms to the defeated powers—historian David Fromkin called it “a peace to end all peace”—that a resumption of war 20 years later was almost inevitable. World War II was fueled by nationalist impulses and facilitated by the crumbling of empires—both of which resonate with developments in global politics today. This was the context of French President Emmanuel Macron’s speech at the Arc de Triomphe, in which he condemned nationalism—the “selfishness of nations only looking after their own interests”—as a “betrayal of patriotism.” In part, and most obviously, he was jabbing at Trump, who listened with a scowl; but he was also warning against, as he put it, “old demons coming back to wreak chaos and death.” Those who forget history are condemned to repeat it, George Santayana once wrote. The problem with Trump is he never knew history—and doesn’t think he needs to learn it. His election marked Year Zero, as far as he is concerned: He frequently says that he’s unlike, and better than, any previous president, so any lessons of the past are irrelevant. Macron and everyone else at the Arc had not only the rise of Trump in mind but also the turn toward right-wing nationalism in Hungary and Poland, the uncertain course of Brexit in Britain, and the collapse of Angela Merkel’s centrist coalition in Germany—leaving Macron as the last surviving celebrator of the post-WWII Western traditions, and he too is buffeted by pressures from the left and the right. At such an occasion so rife with moment and symbolism, any other American president would have felt compelled to repair and strengthen this union. If there were any doubts that President Trump understands little about his mission, and cares even less, this trip dispelled them once and for all. Support our work: become a Slate Plus member. You’ll get exclusive members-only content and a suite of great benefits—and you’ll help secure Slate’s future. Istanbul, Turkey (CNN) Recordings related to Saudi journalist Jamal Khashoggi’s death have been passed on to Saudi Arabia, the United States, the United Kingdom, Germany and France, Turkey’s President Recep Tayyip Erdogan said Saturday. Khashoggi was killed after he entered the Saudi consulate in Istanbul on October 2 to obtain paperwork for his marriage. He did not elaborate on what was on the recordings. Erdogan said the killer, or killers, would be known to the 18 suspects identified by Turkish authorities — including 15 men who arrived from Saudi Arabia shortly before Khashoggi’s death. He again called on Saudi Arabia to provide answers as to what happened to Khashoggi and his body, which has not yet been found. Erdogan has previously demanded that Saudi Arabia hand over the 18 suspects for prosecution in Turkey but the kingdom has insisted that those responsible for Khashoggi’s death will be tried in Saudi Arabia. The Turkish chief prosecutor said 10 days ago that Khashoggi was strangled as soon as he entered the Saudi consulate, as part of a premeditated plan, and his body dismembered. Erdogan’s confirmation that recordings relating to Khashoggi’s death have been handed to key international players is the latest in a drip-feed of details released by Turkey in the weeks since the journalist disappeared. Revelations from the Turkish side have helped to keep up diplomatic pressure on Saudi Arabia to explain what happened. 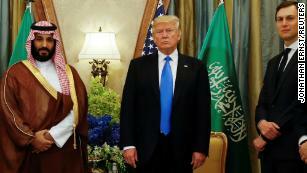 US President Donald Trump and French President Emmanuel Macron both want to get “greater detail” about the events surrounding Khashoggi’s killing, a French presidential spokesman said following a meeting between the pair Saturday in Paris. Both leaders agreed “something very serious happened — that this assassination was serious and unacceptable,” the spokesman said at a briefing on the bilateral talks. 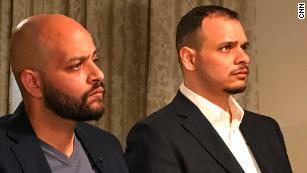 The Saudis have presented shifting stories about the journalist’s fate, initially denying any knowledge before arguing that a group of rogue operators, many of whom belong to Saudi Crown Prince Mohammed bin Salman’s inner circle, were responsible for Khashoggi’s death. Riyadh has maintained that neither bin Salman nor his father, King Salman, knew of the operation to target Khashoggi. US officials have said such a mission — including the 15 men sent from Riyadh — could not have been carried out without the authorization of bin Salman, the country’s de facto ruler. After Saudi Arabia admitted that Khashoggi was killed in its Istanbul consulate, five high-ranking officials were dismissed, including bin Salman’s media chief and the deputy head of the Saudi intelligence service. Eighteen people were arrested. Journalist Isil Sariyuce reported from Istanbul and Laura Smith-Spark wrote from London. CNN’s Saskya Vandoorne, Katie Polglase and Simon Cullen contributed to this report. American Presidents, at least since the time of old man Bush was in the Office, have liked to use slogans for about everything. Do you remember “1,000 points of light”, “Desert Shield and Desert Storm” and how about “the Axis of Evil”. The three Counties whose Leaders I will be speaking of here in a moment, I do not consider to be my enemy nor the enemy of the people of the United States, the issue is their Leaders. There are many very bad, very dangerous people in the world we live in and most are not leaders of Nations, but these three are. Unfortunately throughout history the people of a Nation tend to be known by the Leaders they keep. How many hundreds of millions or even billions of innocent people have died throughout history because they had a bad apple at the top? If you have a five gallon basket of apples that are beautiful and tasty, then you lay one rotten apple on the top of the pile, soon the whole basket will be as worthless as the one on top, rotten to the core. There are people who run terrorist organizations like Hamas, Hezbollah and the Taliban whom I believe are very evil to the core of their souls. There are also people like the “Supreme Leader” Ali Khomeini of Iran and his hand-picked murderers within the IRGC who seem to think it is okay to murder at will, even though they officially have nothing to do with the Iranian Government, I would not consider these folks to be kind loving people either. These days we are all hearing about the Crown Prince of Saudi Arabia ordering the torture death of a journalists in Turkey. The Crown Prince doesn’t sound like a Saint himself, just a Royal. Yet in my opinion none of these folks are in the position to be able to display their evil as fully as the Triad of which this article is about. The three men of which this article is about are all Presidents of their Nations. First, and in my opinion the most dangerous of the three is Xi Jinping of China. The other two men are a tie for second most dangerous person in the world, they are Vladimir Putin of Russia and Don-key Trump of the United States. Obviously the “Don-key Trump” name is one I call him personally because of what I think of him personally. The following are the reasons why I feel these three men, in my opinion, are the modern-day “Triad of Evil”. 1.) Xi Jinping of China: Mr. Jinping is a devout follower of Communist China’s original founder and Mass Butcher Chairman Mao. When Chairman Mao and his Communists murderers took control of the Mainland back in the late 1940’s from the legitimate government of China they killed tens of millions of the citizens and once he had taken control he and his government then killed hundreds of millions of the citizens through enforced starvation. When Xi Jinping took Office in March of 2013 he was supposed to be President for 10 years. With the past several Presidents they have a gathering of all of the Communists Party Leadership after 5 years in which at the 5 year break the residing President gives his nod to whom he wants to be the next President when the last 5 years of his term is over, Mr. Jinping did not do this. Every indication is that Mr. Jinping has decided to be “President for life” of China. Mr. Jinping is a very smart person, this is one of the things that makes him so dangerous to the rest of the world, that and his belief that his version of China is the legitimate ruler of at least the eastern half of the globe. The Communists Leaders of this version of China play the “long game”, they always have. Here in the U.S. the politicians can’t ever think past the next election and Mr. Jinping plays them for the fools they are because of this flaw. It is my belief that as long as China does attack a U.S. military ship or plane in the (Indo-Asian Sea) also known as the “South China Sea”, nor attack another NATO vessel that Xi Jinping’s government will be able to get away with a wide range of aggression in the area. It is my personal opinion that this aggression does include attacking Taiwan as it is my total belief that the U.S. would not help the people of Taiwan if this happens. The most that I believe would happen is that the U.S. government would put heavy sanctions on China such as stopping all U.S. imports into China and of course China would do the same with U.S. imports. This would be very unpopular here in the States though because of the financial damage it would do to our economy for as you know, money is more important than blood, as long as it is someone else’s blood. Besides, wouldn’t Wal-Mart go bankrupt if they weren’t allowed to buy from China? 2.) I had to put #2 as a tie between Mr. Putin and Mr. Trump. But if I had to give it a nod I probably would put Mr. Putin in as #2 because he has a rubber stamp government that will do what ever he decides he wants to do. Mr. Trump is a wanna-be Dictator who I believe would be worse than Mr. Putin except that we do have a Congress and a Senate as well as a Supreme Court that is designed to help keep him in check. Trouble is that with the jelly spine of the Republican Party Mr. Trump may well reach the level of Mr. Putin quite soon. I believe that if in the mid-term election in a couple of weeks if the Republicans can maintain the Leadership of the Congress and the Senate, the worst of Mr. Trump’s actions are yet to come. Simply put, President Putin is a mass murderer and he has balls of steel but he is a rather intelligent person. Mr. Trump on the other hand is an idiot, the man is simply a very ignorant, very dangerous ego-maniac that just like these other two “Leaders” care nothing about the “rule of law.” Mr. Trump only cares about his ego, having unchecked power, and how much wealth he can steal from other people. But, come to think of it, doesn’t that describe all three of these individuals? In this article today I am not trying to be cold-blooded or hate filled, I’m trying to be honest. Here in the States you have your typical politicians like Lindsey Graham wagging their tongues about “there will be hell to pay if the Saudi government killed this man.” I almost never side with Donald Trump but I do sort of agree with him on this issue. Reality is that many governments kill people every year. How many Journalist’s die in the line of duty every year? The Organization Reporters Without Borders says that 65 Reporters were killed in the line of duty in 2017 plus many more were imprisoned. He was not a Reporter but do you remember the American college kid who tore down a poster in North Korea and spent a year or so in one of their prisons only to be sent back home in a coma where he died a couple of weeks later? Folks, nothing real happened to North Korea because of this because mans murder. Mr. Trump was trying to strike a deal with N.K. President (Dictator) Kim Jung Un to get rid of their Nuclear Weapons. Which was/is more important, one life, or not having a thin-skinned ego maniac with is finger on a Nuke button? By the way, I am speaking of Mr. Kim, not the one that is in Our White House. Now, let us get back to the murder of the Saudi/American Journalist who was murdered inside the Saudi Embassy in Turkey. Here are some realities for us all to think about. Mr. Trump is under pressure to cancel a multi-billion dollar weapons deal with the Saudi government because of them killing this man. Would this action by our President be a wise decision? Would it teach “them” a lesson? My answer is no, it would not. In fact if anything it could/would shift the balance of power on this planet. Here is why I am saying this. First it would shift the Saudi government toward the Chinese. If we do not sell these weapons to the Saudi’s the Chinese would be falling all over themselves to sell weapons to the Saudi government. Honestly I believe that it would be the Chinese and not the Russians who would fill the gap because the Russian government has aligned themselves with the Shiite Nations, mainly Iran and as you know, the Sunni Saudi’s are the enemy of Shiite Islam. China and Russia are allies of each other so it would be more crushing to the U.S. if China filled our void. Plus there is the reality that canceling this contract would put many American workers out of a job which would be felt in the voting booth next month. Think about these things please, what if the Russians and the Chinese governments held complete sway over all of the Middle-East, over all of OPEC? What if China grew close to the Saudi Royal Family by such things as massive weapons sells? China is already building the largest refinery in the world in the Saudi Kingdom. If the U.S Government steps away from the Saudi Royal Family how long will it be before the Saudi’s decide to take their oil off of the dollar standard and put it on the Chinese Yen? If the Saudi’s did this I am sure that the rest of OPEC and the Arab world would very quickly follow suite. Think about it, the dollar not being the “world standard” currency. What if OPEC decided to only take the Yen as trading currency, and decided to either not sell any oil to the U.S. at all, or if they did, only at twice or three times the market rate? What would this do to the U.S. economy, to your job, to your living standard? In 2008 during that “depression” the U.S. economy backed off about 2%, what would things here in the States look like if our economy fell off by 10, 15 or 20%? I am just trying to be honest, I don’t like many realities in our world yet if we decide to change some of the current realities, we must be very careful about the new realities that bloom. The International Monetary Fund has cut growth forecasts for the global economy this year and next year, as escalating trade tensions could dent business sentiment and trigger financial market volatility. In its updated World Economic Outlook report released on the IMF’s website on Monday, the Washington-based international lender said global economic growth is projected to reach 3.7 percent in 2018 and 2019, 0.2 percentage points lower than its previous forecasts in July. “Downside risks to global growth have risen in the past six months and the potential for upside surprises has receded,” the report said, adding the economic expansion has become “less balanced” and “may have peaked” in some major economies. The IMF maintained its growth forecast of 2.4 percent for advanced economies in 2018, while downgrading its forecast for those economies in 2019 to 2.1 percent, 0.1 percentage points lower than its July forecast. Growth in emerging markets and developing economies is projected to reach 4.7 percent in 2018 and 2019, 0.2 percentage points and 0.4 percentage points, respectively, lower than the previous forecasts in July. The IMF kept its growth forecast for China at 6.6 percent this year, while shaving its projection for China’s growth next year to 6.2 percent, down 0.2 percentage points from three months ago. As the United States unilaterally imposed additional tariffs on some of its main trade partners in the past several months, the IMF warned that “escalating trade tensions and the potential shift away from a multilateral, rules-based trading system” are key threats to the global outlook. “An intensification of trade tensions, and the associated rise in policy uncertainty, could dent business and financial market sentiment, trigger financial market volatility, and slow investment and trade,” the report said. “Higher trade barriers would disrupt global supply chains and slow the spread of new technologies, ultimately lowering global productivity and welfare,” the report argued, adding more import restrictions would push up the prices of consumer goods, thus harming low-income households disproportionately. The report comes as global financial ministers and central bankers gather in Bali, Indonesia, this week to attend the annual meetings of the IMF and the World Bank. Officials are expected to have a heated discussion on the trade tensions. Christine Lagarde, managing director of the IMF, last week called on economies around the world to “de-escalate and resolve the current trade disputes” as global economic growth outlook has dimmed.